WASHINGTON - Colgate-Palmolive will remove forest destruction from all of its products with full traceability for the palm oil it sources. As a major competitor of Procter and Gamble's, Colgate-Palmolive's announcement further isolates the maker of Head and Shoulders, which has so far failed to adopt an effective No Deforestation policy. "With pledges from Unilever, Nestlé, L'Oréal and now Colgate-Palmolive to clean up their supply chains, P&G is choosing to lag behind its competition. The hundreds of thousands of people powering our campaign to end deforestation must be wondering what P&G's next step will be: more greenwashing or real action?" said Areeba Hamid, forest campaigner at Greenpeace International. Colgate-Palmolive's policy recognises the need to go beyond the Roundtable on Sustainable Palm Oil's certification schemes in order to remove deforestation from its products. Importantly, the policy specifically mentions protecting peatlands, High Conservation Value and High Carbon Stock forests, as well as safeguarding community rights. 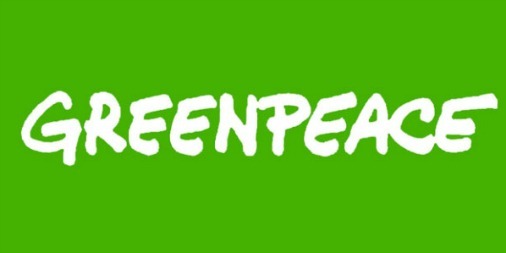 While welcoming its commitment to palm oil traceability by 2015, Greenpeace will push Colgate-Palmolive to implement its No Deforestation policy before its stated 2020 deadline. "There's a huge difference between Colgate's detailed policy and P&G's empty commitment to the RSPO's weak certification scheme. It's time P&G joined Colgate, Unilever, L'Oréal and Mars in guaranteeing its products are free from forest destruction," said Hamid. Over 340,000 people have written to P&G's CEO, Alan G. Lafley, demanding the company immediately commits to No Deforestation. These commitments from palm oil traders such as Wilmar and GAR, through to producers in the Palm Oil Innovation Group, among others, indicate widespread acceptance for responsibly produced palm oil. "Indonesia's forests are precious to all of us: they are the earth's lungs, people's homes, and habitat to countless animals including the endangered Sumatran tiger. But if we don't stop forest destruction all of this will disappear. More brands need to step up and follow Colgate's lead," said Kristin Bauer, a US actor known for her role in the TV series, True Blood. Kristin Bauer has advocated for forest-friendly products with Greenpeace's Protect Paradise campaign.